OTTAWA—Own the Podium welcomed five new members to its Board of Directors and said goodbye to several others at its AGM on Friday last. 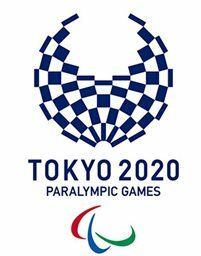 Coming off of Canada’s most successful Olympic-Paralympic Games ever, OTP is now poised and ready to meet the challenge of 2020 in Tokyo and 2022 in Beijing. Joining Therese Brisson, Chris Clark, Duncan Fulton, and Todd Nicholson on the Board are new directors Dr. Araba Chintoh, Robert Hatch, John Mills, Sue Paish, and Tara Whitten. The new directors arrive as Own the Podium recognizes the contributions of outgoing members John Furlong (Chair, 2010-2018), Guy Larose, and Dr. Mike Wilkinson, who have completed two four-year terms, as well as Scott Hutcheson and Hayley Wickenheiser, both who recently resigned to serve as Chair and Vice Chair of Calgary 2026. “The passion and dedication we have seen in our Board of Directors has inspired us all. I can’t thank retiring directors enough for their contributions, their energy, and their commitment to our mission of helping Canadian athletes reach and remain atop the podium in Olympic and Paralympic competition,” said Anne Merklinger, chief executive officer of Own the Podium. Araba Chintoh, a former member of Canada’s National Senior Women’s Rugby Team who competed at the 2002 Women’s Rugby World Cup, is a clinician-scientist with specialized training in psychiatry. As a founding director on the Canadian Tire Jumpstart Charities Board of Directors, Rob Hatch has been helping fuel the sport and activity dreams of Canadian children through Jumpstart’s numerous programs and continues to provide exceptional governance leadership to the charity. John Mills has had a distinguished career in Canadian Sport as an athlete and administrator. He was CEO at CODA and the Globally recognized Richmond Oval. Mills is the outgoing Chair of the Canada Basketball Board of Directors, and the Canada Basketball Foundation. Sue Paish is an experienced corporate director and CEO who has brought her experience in business and law to various boards and committees, helping to support and guide executive leaders in the delivery of organizational goals through strong strategy, innovation, and teamwork. Two-time Olympian and medalist Tara Whitten has an appreciation for both summer and winter sport. She has earned a PhD in neuroscience and is active in research to improve the diagnosis and management of concussions for Canadian athletes through the development of reliable assessment tools using robotic and eye-tracking technology. A repeated message throughout the technical sport agency’s annual general meeting to both new and continuing board members was a cautionary one of not settling for status quo. As outgoing chair, John Furlong has helped oversee record-setting summer and winter Olympic and Paralympic Games for Canada during his tenure. In PyeongChang 2018, Canadian athletes made 57 trips to the podium, finishing second overall in the combined Olympic-Paralympic medal count just two medals off the United states. However, Furlong believes there is no room for complacency or looking back and believes the new board, CEO and best in class support team are uniquely positioned to take OTP to the summit. “We have shown that when we work collaboratively, apply science and discipline and support our high-performance athletes and programs in a strategic manner and have the courage to embrace new ideas and take risks we can achieve great things, it’s why we are here” said Furlong. According to Furlong, “OTP has proven that Canada can win and compete with any nation anywhere. 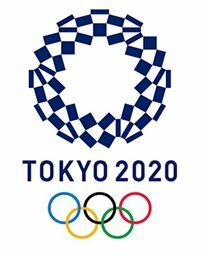 As we look to Tokyo 2020 and Beijing 2022, the fundamentals and rigors are in place for breakthrough performances provided we never settle for ‘good enough’. We must regularly redefine the challenge, hold ourselves accountable and drive hard to surpass our goals and expectations. Excellence is a choice”. Performances aside, Furlong has cemented unifying performance partnerships with the Canadian Olympic Committee, Canadian Paralympic Committee and the Government of Canada over the last eight years. As a passionate champion from day one for financial support for a targeted excellence strategy and team sport strategy, as well as fertilizing Next Generation initiatives with accelerant funding, Furlong points to the evidence - results. These elements embedded in our system are fundamental to holding and growing our spot as a top sporting nation. Own the Podium was originally conceived in 2005 with the goal of helping Canadian athletes finish first overall at the 2010 Olympic and Paralympic Winter Games. Since the program’s inception, Canada’s performance in winter sport has soared. In 2008 the program was expanded to include summer sports with a similar outcome. Own the Podium, a not-for-profit organization, prioritizes and determines investment strategies for national sport organizations in an effort to deliver more Olympic and Paralympic medals for Canada. Own the Podium's largest contributor of funding is the Government of Canada with additional funding provided by the Canadian Olympic Committee and its Canadian Olympic Foundation, the Canadian Paralympic Committee, along with the corporate community.